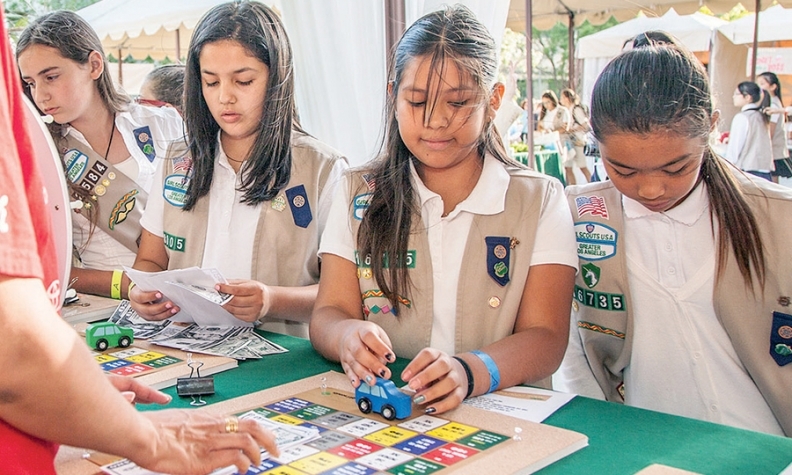 Toyota Financial pledged $2.3 million to help Girl Scouts learn about money. Editor's note: Corrects full name reference to the American Financial Services Association Education Foundation. Lisa Copeland, managing partner of Fiat of Austin in Austin, Texas, doesn't want her customers winding up in the wrong car for their budgets. Her salespeople are trained to talk to customers about credit and how much they can afford to pay for a new or used vehicle. The salespeople have been instructed to be sure that customers don't take on more debt than they can handle. Copeland recently posted on her Buying Cars Her Way Facebook page a newspaper article that quotes her saying that consumers with blemished credit should get their credit scores before visiting a dealership, check into more forgiving financing -- say, from a credit union -- if their credit score is below 660 and stay within their budget. The Facebook page and her website, buyingcarsherway.com, are devoted to helping women better understand the auto industry and the vehicles they drive. But her tips are applicable to men, too, she said. "I want to help this customer get through their credit issues," Copeland told Automotive News. "I want to give them good advice. I want to help this customer buy the right car today, so two years from now when it's time to trade, they're going to remember us as the good guys and they're going to come back." Copeland is among the dealers, captive finance companies and others in the industry that are trying to help consumers learn good personal finance skills that in turn will help them become better versed about buying and financing vehicles. They agree that consumers who have a firm grasp on personal finance have more realistic expectations when purchasing vehicles and are more satisfied with their purchase. "That's the consumer I want," Copeland said. "Not the one that thinks I'm ripping them off because they have bad credit. I'm all about empowering consumers." Dave Robertson, executive director of the Association of Finance & Insurance Professionals, notes that financially literate customers are good customers because "the more the consumer understands about the process, the more equitable the transaction and the less likely that somebody will go in as the salesperson and break the rules." Toyota Financial Services Inc. believes that adopting good money-management skills early in life will help consumers have brighter financial futures. That's why the captive finance arm pledged $2.3 million to help more than 26,000 girls become financially savvy through a partnership with Girl Scouts of the USA. "Driving My Financial Future" is a two-year, nationwide program of financial-empowerment events for Girl Scouts featuring Toyota Financial employees as volunteers. The program also includes college scholarships ranging from $5,000 to $20,000 and chances for scouts to earn financial-literacy badges. Sue Valascho, community relations specialist at Toyota Financial, said the partnership with the Girl Scouts started in October 2014 in 10 councils across the country. The program provides funding for those councils to identify financial educational opportunities for underserved girls in grades 6-12. As part of the effort, Toyota Financial employees are conducting workshops on topics such as establishing good credit, credit scores and budgets. 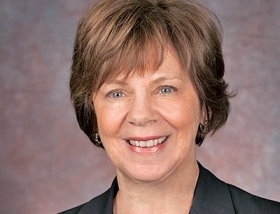 Ann Bybee, Toyota Financial vice president of corporate strategy, communications and social responsibility, said it is important that girls are comfortable with numbers, financing and accounting because women often are responsible for household finances. "We are a financial services company and think it is our responsibility to help improve financial education and capability of people in our communities," Bybee said. Another program geared to young people is MoneySkill, an online interactive curriculum from the American Financial Services Association Education Foundation aimed at teaching money-management fundamentals in high schools and colleges. MoneySkill is written text and audio that is designed to be used by an educator or instructor as all or part of courses focused on economics, math, social studies and personal finance. Its 36 modules cover topics such as income, expense and anticipating the costs connected with major life events such as marriage or having a child. There are sections on buying and leasing a vehicle and on operating a vehicle, which covers repairs and insurance. Sections on identity theft and student loans were added four years ago. More than 625,000 students have enrolled in MoneySkill since it was created in 2004, said Susie Irvine, president of the AFSA Education Foundation. "These are skills that are just as important as other things that they are being taught," Irvine said. "This is personal finance 101. This can make such a difference in a young person's life." Rodney Williams, a student at Cypress Falls High School in Houston, vouched for the value of the program in a video posted on the moneyskill.org website. "You're going to use it in real life," he said. "You have to be financially prepared for the future." In a brief presentation on the program at AFSA's 2015 Vehicle Finance Conference & Exposition, held in conjunction with the National Automobile Dealers Association convention in January, another student was quoted praising the program by saying it "teaches how much of being an adult is about money." AFSA also is heavily involved in AWARE, which stands for Americans Well-Informed on Automobile Retailing Economics. AWARE is a collaborative effort by AFSA, NADA, the National Association of Minority Automobile Dealers, the American International Automobile Dealers Association, finance companies and others. It is aimed at educating consumers about auto financing. Irvine said AWARE's articles, brochures and interactive learning tools are geared toward adults in group settings. Among the topics covered by AWARE is negotiating vehicle financing. She also cited the Understanding Vehicle Financing brochure, which was created in partnership with NADA and in cooperation with the Federal Trade Commission. The brochure includes a glossary of vehicle financing terms and a worksheet to calculate affordability. "This is one I really recommend for adults," Irvine said. Ally Financial Inc.'s Wallet Wise program offers personal finance training online and in person at community workshops around the country. Among the topics it covers online are things to consider when choosing a bank or credit union, such as fees, hours, convenience and minimum balances. Ally spokeswoman Gina Proia said Ally has had a free consumer financial literacy program for at least a decade. It was refreshed and rebranded as Wallet Wise in 2011. Ally makes Wallet Wise brochures containing tips about buying and leasing vehicles, available to dealers, who in turn offer it to their customers. Dealers also have the option to host consumer financial educational classes using Wallet Wise materials. This year Ally added customers' annual percentage rates and their FICO credit scores to their online accounts.